The Military Technical Institute (Vojenský technický ústav s.p.) is a state enterprise established by the Ministry of Defence of the Czech Republic in order to provide strategic deliveries and services needed to guarantee Czech Republic's defence and security, as well as to fulfil its obligations associated with Czech Republic's NATO and EU memberships. 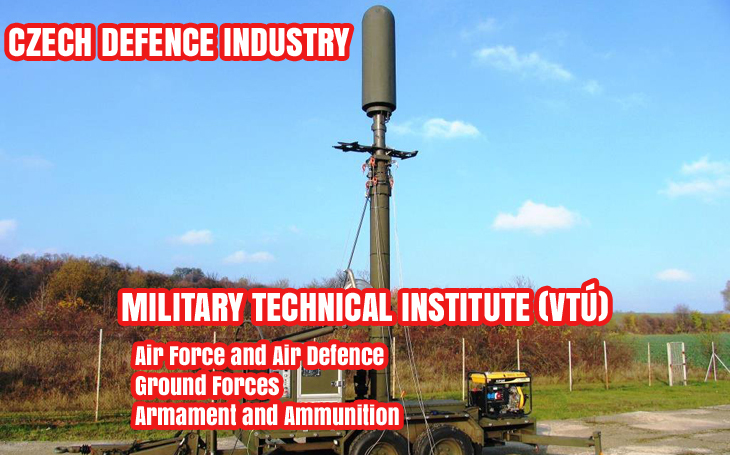 The VTÚ presented its activities at IDEX earlier this year and will be present at IDET 2019, Czech International Fair of Defence and Security Technology in Brno (29th - 31th May). The Air Force and Air Defence Military Technical Institute is a division of the Military Technical Institute, s.e. The key activity of the Institute is an integration of communication and information systems into decision-making processes in the area of Ground/Air Force C2, security, crisis management etc. The Military Technical Institute of Armament and Ammunition is a division of the Military Technical Institute, s.e. Activities of the Institute consist of applied research, development and testing of military equipment in its area of expertise. The products of MTIAA or its predecessors include the BRDM fighting vehicle and LOS and SNĚŽKA surveillance systems. 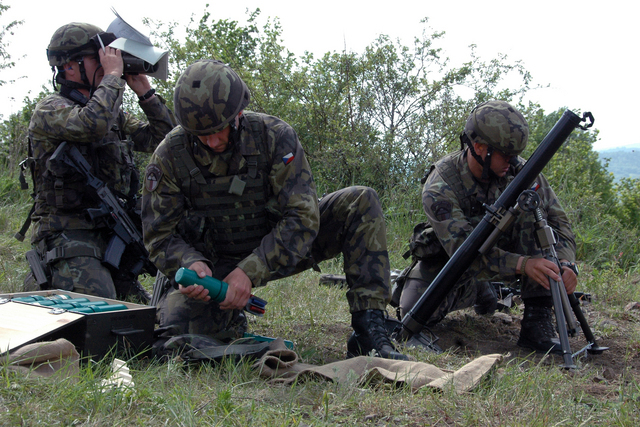 Some of actual key projects are ANTOS and ANTOS LR 60 mm mortars, ZSRD 07/08 modular weapon stations, the KBV Pz reconnaisance vehicle and trials of new personal weapons being implemented into the service with the Army of the Czech Republic. Military Technical Institute of Armament and Ammunition (MTIAA) stationed in Slavičín. The Military Technical Institute of Ground Forces is a division of the Military Technical Institute, s.e. It is stationed in Vyškov. The Institute's activities include testing, research, development and special engineering, mainly in the field of combat and transport vehicles, special engineering and equipment, particular logistics equipment, mobile power source, power transfer and lighting sets etc. For these purposes, the Institute maintains a variety of specialized laboratories, focused on e.g. vehicle testing, special measuring, tribo-technical diagnostics, diving equipment checks, electro-technic equipment testing etc. During this year's edition of the IDET, the VTÚ will present, among other, its mobile masts AN-12 and AN-25, in use by the Czech Army, and also by other allied forces within the NATO. 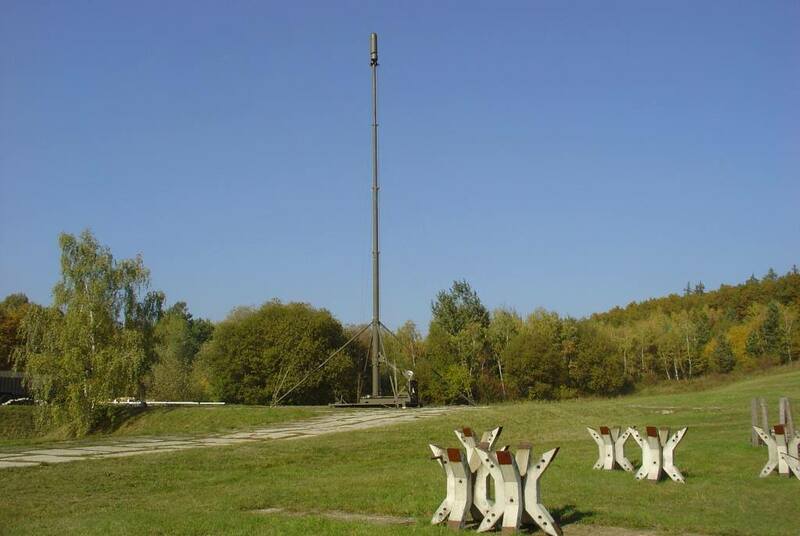 The AN-12 mobile mast is intended both for long-term and short-term usage, as a carrier of the equipment up to 200 kg, in particular of the antenna superstructures. 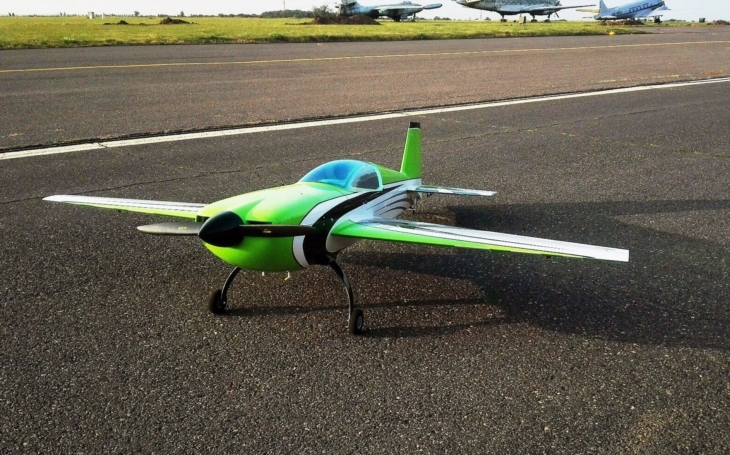 The base of the antenna carrier is created by a trailer with mechanism for horizontal levelling with frameless platform. The AN-25 mobile mast is intended both for short-term and long-term use as a carrier of specific equipment up to 300 kg, in particular of the antenna superstructures. The base of the antenna carrier is created by platform with ISO 1C container anchoring, and equipped with lifting hook for hook loader.